I want you to have a great experience with MailShot, so I put this page together to give answers to the questions we most often receive. You should find anything you are looking for here, or in the MailShot User Guide. If you are still stuck, please send me an email from the “Support” button provided on the title page of the app itself. This includes useful information about your device, which helps me identify and solve your problem more quickly than when you contact me directly. If you’d like news about developments with MailShot whenever I update, or discover a useful tip, just drop an email to mailshotlist@solubleapps.com with the subject “subscribe”, and I’ll be happy to add you to our mailing list. I keep the mail frequency down to only a few times a year, and you can unsubscribe at any time. Create a group, and give it a name. Add contacts to it using the “+” button or the “Import” menu. Tap “Update” to save it out. To create an email, select the group, then tap “Send Email Bcc:” or “Send Email To”. To forward an email tap the group name then “Copy to clipboard”. Now switch to your email app, and long-press in the address line of your email to paste the group into the address line. You can share documents, photos and weblinks directly from many apps by tapping the Share button in those apps, then selecting the MailShot icon. This video walks you through creating a group, sending to MailShot groups, adding photos and documents, forwarding email to a group and sharing documents to a group from other iOS apps. How do I change which email account MailShot sends from? Why isn’t everyone in my group receiving the email ? How do I send to only some of a group? How do I send attachments to MailShot groups? I get an error message from my server when sending mail ! What can I do about sending limits? Why do some contacts or groups show up in red? How can I sort the members of a group? See this page in the User Guide for many different methods available for adding contacts. Do I have to pay twice if upgrade again ? What is the difference between MailShot and MailShot Pro ? How do I rename, delete or reorder groups ? How do I remove , or edit contacts in a group? How do I hide email addresses to protect privacy ? How do I prevent people doing “reply all” to everyone? How do I send mail to a MailShot group from a Mac? Can I send mail to a MailShot group from the Gmail iOS app ? Can I send mail to a MailShot group from the Outlook iOS app ? How do I send several photos at a time to a MailShot group ? How do I turn sound effects on or off ? You can set a default “From:” address on the Mailshot Settings page, in Mailshot 7.2 or higher. If it is not already set up, add the new email account from the ‘Accounts & Passwords’ page of the Settings app. NOTE: If there is no matching account, the existing iOS Default will be used. There will be no warning message unless the address you entered is impossible. You can verify that the expected address is being used by looking at the “From” line of the email, before you send. TIP: You can still change the sending address for an individual email, by tapping the “Cc/Bcc, From” line before you send. TIP: If you want to change your default email account for iOS Mail as well, change “Default Account” on the Mail page of the Settings app. Why isn’t everyone in my group receiving the email? If you are using a Gmail account you may receive bounce emails for every address in a group, with a note that they think the email may be spam. This may be due to the content of your email. In this case we advise users to try sending from a different email account, such as the iCloud.com account they often get with their device. This will have no such problems. Occasionally the cause is a problem with the receiving server, or they have spam prevention policies to reject email that has been sent to lots of people at once. It is also worth asking people who say they did not receive your email to check their spam filter. NOTE: If you would like a group to test with, create a test group in MailShot containing these three addresses: support1@solubleapps.com, support2@solubleapps.com and support3@solubleapps.com. Send an email with that group in the “to” line, and a quick note describing any problem you are trying to solve. We will be happy to take a look for you and report back. The list of members in a group has checkmarks down the righthand side of the page. A member is excluded from email to the group when their checkmark is cleared. Select all checkmarks at once using the “All” button at the bottom of the page, or deselect all checkmarks using “None”. There are a few possible causes of an error message. The app you are sending from– Try sending from the MailShot app itself. Exceeding the limits of your mail provider as to group size, number of contacts per day, or message size. See here for further information. Mistyped, or out-of-date address information (this is especially likely if you entered the addresses manually, rather than selecting them from your address book). If you receive an “undelivered email” message read it carefully, as it will normally tell you exactly which email address caused the problem. Send it to us if you are stuck and we will interpret it for you. TIP We have seen some email services (Yahoo!, for example) reject an entire email if it includes an incorrect address on their domain, so be particularly careful to check the accuracy of all addresses on your own provider’s domain. To prevent spam, many email providers restrict how many contacts you can address with a single email, and/or how many people you can contact within a set time period. This can vary from provider to provider. As of 2017 iCloud.com have started allowing 500 contacts per email/ 1000 per day, so this is what we recommend. You can obtain higher limits from paid services such as Fastmail.com, starting with 500 contacts per email/ 2000 a day for $10 a year. TIP You can select which account you are sending from, with a tap on the “Cc/Bcc.From” line in the Mail app. You can change the default sending address from the Mail page in the Settings app. For help splitting MailShot groups into smaller groups- see Splitting MailShot groups. In the email compose window, you can insert a photo or video by tapping where you want to add it, and holding for a second or two. A black pop-up menu will appear. Tap the right-facing triangle and select “Add Photo or Video”. You can also add documents directly from iCloud Drive and Dropbox, by tapping once more on the triangle. On iPad, both of these functions can be performed with shortcut buttons above the keyboard. An alternative method is to go to the app you view the document or photo in, and tap the Share button, then select the Mailshot icon. This is a good way to share multiple photos at once from the Photos app. If you enable “Red Contacts” on the MailShot page of Settings, MailShot will highlight an address that is no longer present in your device’s address book in red to draw your attention to it, in case the email address needs to be updated. Any group that contains red contacts, will also appear in red on the Groups page. NOTE Contacts that were added manually will not appear in red, as the app does not expect to find them in your address book. NOTE: These group contacts are ONLY for users sharing to a mac or other non-iOS devices. We use other methods for sending group email from iOS. The “Create group Contacts” switch on the Mailshot page of the Settings app enables a feature where MailShot writes a special contact to your address book containing a string of email addresses, whenever you tap “Update” on a group. This special contact is used for sharing your groups to non-iOS devices. If you still cannot find it, first confirm that your contact was created- Select your group in MailShot, and tap “Update” to write it out. If you see an error message, you will need to resolve it. If you are storing your MailShot contacts on an Exchange server, there is another possibility. See Why have some of my contacts disappeared? NOTE: These group contacts are ONLY for users to share to a mac or other non-iOS devices. We use other methods to send group email since iOS 9 was introduced. Each service you synchronise contacts with (iCloud, Gmail, Exchange, Yahoo! etc.) is stored as a separate physical “address book” on your device, although the Contacts app presents them as one. 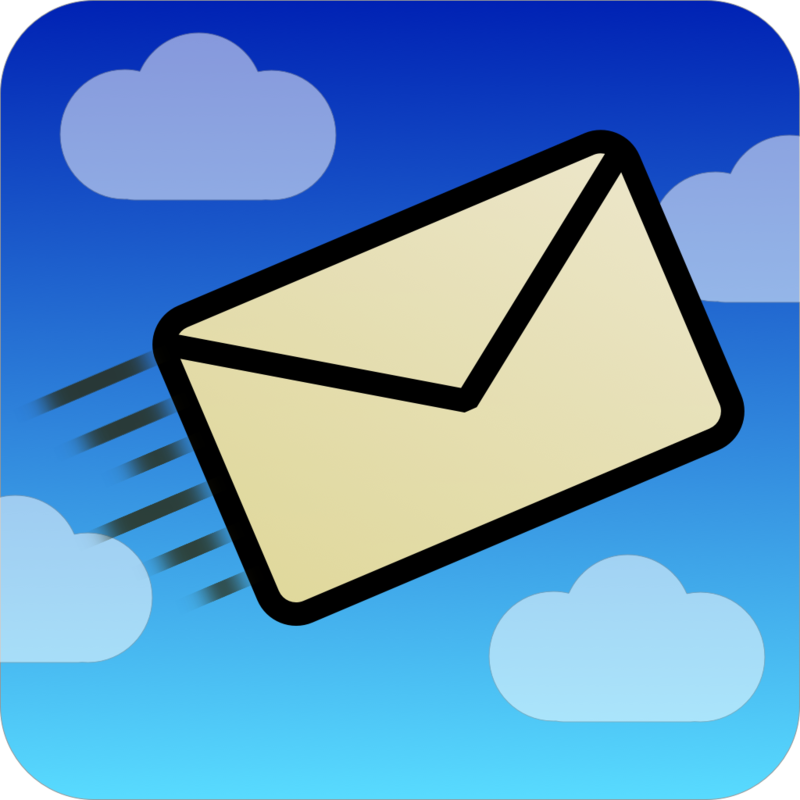 As a general rule, iCloud is the best address book to use to store your MailShot group contacts, so this should be used if it is available. If ‘Use Default’ is enabled, MailShot will save to your device’s current default address book. This is where your device saves any new contacts you add yourself. The default can be selected from the ‘Contacts’ panel of the ‘Mail, Contacts Calendars’ page of the Settings app. This option gives the least control. Exchange for Outlook and older Gmail contacts, and company accounts. CardDAV (Yahoo) typically a Yahoo! address book. CardDAV (null) This is the type Facebook uses, and is disabled by default, as you cannot store contacts to Facebook. For example, if you have both iCloud and Exchange address books then MailShot will use iCloud, as it comes first in the list. To make it use Exchange instead, disable the iCloud switch (although we generally think you should stick with iCloud). Disable address book types that you don’t wish to be used. Your groups will be saved to the chosen address book when they are next updated. To force a move, you should visit each group in turn, and tap “Update”. How do I sort the members of a group ? If you prefer to sort based on the entire name, enable the option to “Sort On Full Name” on the Mailshot page of the Settings app. Alternatively, the option to “Show surname first” will display the name used for sorting (typically surname, first name). It can be found on the Mailshot page of the Settings app. If you really need members in an arbitrary order– such as players in a team, sorted by player number, place a number at the start of their Sort field. For members that were added manually, you can edit the Sort field for each member by selecting them from the list in Mailshot. Temporarily turn off your synchronised address books in “Mail,contact calendars” in the Settings app (this is found in “Contacts”, in Settings for iOS 10) and remove them from your device. Turn the address books back on. Groups are shared automatically between iOS devices through iCloud. That you are connected to Wifi or a strong mobile signal on both devices. See this page in our MailShot User Guide for instructions on how to easily import contacts from address book groups. You muse be able to see the groups in the Contacts app before Mailshot can access them. For more about this feature, see 5F: Pasting A String of Addresses in the User Guide. TIP: For mac, you may find a free app called Email List Maker useful- it strips all the email addresses out of a block of text, and creates a list which MailShot can import. Then tap the Bcc line of the email (to open it up), tap to select it, choose “select all” from the black pop-up menu which appears, and “copy” using the same menu. This will place the list in the clipboard on my device (I can discard the new version of the email) and I can then go to a new group in Mailshot, and tap “Import” and “Paste from address string” to import the names and addresses. Another way to do it (for Gmail, for example) is to view your email in a web browser, and copy the string from the header there. We will create a string of email addresses in Outlook, email the list to our iOS device, and then paste them into MailShot. In Outlook, open a new blank email, and address it to your Outlook group. Copy (Ctrl-C) all those addresses from the To line of the email to the clipboard. Paste (Ctrl-V) the addresses into the body of the email. Re-address the email to yourself. Paste the string into the text box. We will walk you through an example step-by-step, which should handle most possible data structures. We will do this exercise in the free Google spreadsheet available at docs.google.com as this is accessible to everyone. The principles are the same in Excel or Open Office. I will start from a spreadsheet (sent by a user), containing firstname, lastname and email address in separate columns, plus some other data we will ignore. We will use the CONCATENATE() function to create a usable format from those strings. In cell A2, enter the formula ‘=CONCATENATE (B2;”, “;C2;””)’. (Don’t forget the = at the start.) Adapt that formula as needed. For example, if you have a full contact name in B and an address in C, you would use ‘=CONCATENATE (B2;””)’ . Duplicate that formula to the rest of column A. This will fill it with strings like “lastname, firstname “. Send that email to an account you can access from your iOS device. Copy the string from that email in Mail on your iOS device. Go to the “Paste Address String” page in MailShot and paste it into the text box. Create a new group, or open a group to add more contacts to. Any contacts already in the group will be skipped. Just select a group, and choose “Split Group <100”. This will rename the old group as “Groupname-All”, and create smaller new groups called “Groupname- A”, “Groupname- B” etc. If you need more control, you can do this a different way by duplicating the group, then removing different contacts from each copy. Or you could do it by importing contacts from the large group into a few smaller groups. For example, to split an existing “GROUP130” into two groups, “GROUP60” and “GROUP70″…. Tap + and select the group contact which the large GROUP130 previously created in your address book. All of the individual contacts from that group will appear as a list. Tap “Update” to write this group out. Tap + and again add the contact the large GROUP130 created in your address book. Select the last 70 contacts with a checkmark (starting after the contact you noted earlier) and tap “done”. “Update” the group, to write it to your address book. Use “Copy to Clipboard” to create a list of email addresses and names which you can paste into an email and send to someone. If they also have MailShot they can import it using “Import”, then “Paste from address string” See here for more. Your group data is automatically shared using iCloud, so this is only for cases where that does not apply. First you need to get MailShot to put its data somewhere accessible by iTunes. Go to the MailShot page in the Settings app, and enable the switch marked “Save To Public Folder”. Connect the device with the data you wish to copy, and open iTunes. Now select the device in the drop down list. To copy the files to your second device, reverse the process. Click and drag the two files you previously saved to your machine into the window for the new device. Once you have checked that this worked, it is probably a good idea to remove MailShot from the first device, to avoid future confusion. You can do this using iTunes File Sharing. Connect the device and open iTunes. Select the device in the drop down list. Click and drag the two files in the right window to a folder on your desktop. Drag the two data files from the desktop, into the window on the right. Note that this will overwrite any groups you have set up in the other app. To send a list to someone, use “Copy to Clipboard”, then paste into an email, or paste to a document and print it out. To add a carriage return between each pair of names and addresses, enable a switch on the MailShot page of the Settings app. If you have already sent an email to the group, here is the easiest way to turn some or all of them into individual contacts if you need to do so.. Locate an email that you sent to your MailShot group (in your “sent” directory in the standard Mail app). Each contact will appear in its own blue bubble. Tap on each one in turn and select “Create New Contact” to add them to your address book. There are two ways to upgrade from the free version of MailShot- you can either upgrade it with an in-app purchase, or download MailShot Pro from the App Store. An advantage of using in-app purchase is that you can keep any groups you have already set up, whereas the MailShot Pro route is a little more straightforward, but they provide the same abilities.. NOTE MailShot and MailShot Pro are considered as different apps by the App Store. Once you choose your preferred method to upgrade, please stick with it in future to avoid being charged twice. A prompt inviting you to upgrade with an in-app purchase will appear whenever you try to exceed the limits of the free version of ‘MailShot’. This will also be offered if you tap the ‘Restore Purchase’ button on the title screen, and no previous purchase is found. Once your upgrade is confirmed, you will be able to create up to 100 groups, each containing up to 100 or more contacts (subject to any restrictions from your email provider). It will now also display an “upgraded” badge on the title page. Go to the Settings app, and select “General”. Scroll down a little (on iPhone) and look for a line that says “Restrictions”. You’ll need to enter your pass code to access the next screen. check the position of the “In-app purchases” slider within it. This slider should be set to the ON position to allow a purchase. If you get a message about being in a “Sandbox environment” when you try to upgrade, this can occur on a Jailbroken device in combination with certain jailbroken apps. Please Google for more information on this issue, we cannot provide support for this. Any further problems upgrading, please let us know on support@solubleapps.com. Do I have to pay twice if I upgrade again? If you need to reinstall at a later date, or want to upgrade a second device, you won’t have to pay for the upgrade again. If you originally upgraded the free version of “MailShot” with an in-app purchase, tap “Restore Purchase” on the title page. This will check the App Store for you and restore any upgrade purchase it finds for your account. If you purchased “MailShot Pro” then you should download it again from the App Store. You should see a cloud symbol on the button, rather than a price, indicating that the App Store knows you have already purchased that version. What is the difference between “MailShot” and “MailShot Pro” on the App Store? “MailShot Pro” is the full version, which can create up to one hundred groups of one hundred or more contacts per group (the actual limit depends on your email provider- please check with them for their limit, or Google “provider’s name email send limit”, or similar). A free version of “MailShot” is also available which can be upgraded through an in-app purchase to the same capabilities as MailShot Pro. This upgrade purchase is offered when you exceed the capabilities of the free version. When you upgrade, an “upgraded” badge appears on the title screen and the “restore purchase” button is replaced by other options. “MailShot Pro” and the upgraded version of “MailShot” are equivalent in features, but are regarded as two separate apps on the App Store, please do not download both the in-app upgrade and MailShot Pro, as you will be charged twice. If you are unsure which version you purchased, look at MailShot Pro on the App Store- if it shows a cloud icon then that is the version you purchased, and it will be free to download again. MailShot needs permission to access your address book. This allows it to add contacts to groups. How do I rename or delete MailShot Groups? Or you can delete a group quickly by swiping from right to left across the group name, revealing a “delete” button, just as you would in Mail or Messages. Groups are automatically ordered alphabetically in MailShot 5.0 and up. How do I remove, or edit contacts in a group? To delete a contact from your group, use the iOS delete shortcut: Swipe from left to right across the contact you want to remove, then tap “Delete” to confirm. To change the email address for a contact, first edit the address in your address book (using the Contacts app) then go to the page in MailShot that lists the contacts in your group, and select the old contact. This will open up a page showing all the known email addresses for this contact, select the one you wish to use. This page in the User Guide tells you more about the Contacts Page, and how to change the order of contacts etc. The following pages tell you about all the different ways available to add contacts to MailShot. Tap “Update” after making your changes, to write them to your address book. Check you don’t have more than one contact with a similar name. How do I hide email addresses to protect privacy? It is polite to protect the email addresses in a larger group. You can do this by placing the MailShot group in the “Bcc” line of the email. This sends the email to the group, but hides everyone else’s email address. How do I prevent people doing a “Reply all” to the group? Put the group in the “Bcc” line of your email, instead of on the “To” line.See above. You can set a default “From:” address on the Mailshot Settings page. Check that you are using Mailshot 7.2 or higher. NOTE: If there is no matching account, the existing iOS Default will be used. There will be no warning message unless the address is illegal. You can verify if the correct address is being used by looking at the “From” line of the email before you send. If you want to change your default email account for iOS Mail as well, change “Default Account” on the Mail page of the Settings app. How do I send mail to a MailShot group from a Mac ? To send email to the group- in the To line…. This will open up an email addressed to the group. Locate the MailShot group in the Contacts app on your mac. Copy the “Work” email address line, and paste it into the address line of your email. How do I send mail to a MailShot group from the GMail iOS app? Select the group, or groups, in MailShot. Switch to the Gmail app and start your email. How do I send mail to a MailShot group from the Outlook iOS app? Select Settings from the Support button in Mailshot, then disable the switches for “Include Names” and “Use <>”, and enable the “; As Separator” switch. Groups copied to the clipboard in MailShot can now be pasted into the address line of forwarded emails in Outlook. How do I send several photos at a time to a MailShot group? The iPad keyboard has a dedicated button to insert photos in the top row. Or you can use a Sharing Extension to create an email from the Photos app. Select MailShot from the top row of share extensions. How do I turn sound effects on (or off)? Sound effects are controlled by a slider in the Settings app. It isn’t possible to handle the unsubscribe process automatically, but here is way to include an “unsubscribe” button on every email you send through the app. This will send you an email headed “unsubscribe”, from the person who wishes to be removed. 2) Paste it into the Notes app or a similar editor, and replace “your-email@address.com” with your own email address, then copy it again. 3) Go to the MailShot settings page (accessed from “Settings” on the Support button) and paste your edited string into the “Text” line. This text will be added at the foot of every group email you send. If you have any issues, please drop us a line and we’ll do our best to help. The best way to do this is from the support button on the title page of MailShot, as that also tells us a bit about how your device is set up. Don’t forget to let us know what the problem is, and what solutions you have already tried, as this will help us identify and solve your problem for you as quickly as possible. I have an iPad 2 and had purchase the pro version of Mail group. Recently, I had to wipe the firmware and reinstall it on my iPad. When I did that, I lost my mail group pro version. Can you help me with this or do I need to purchase it again? Don’t worry about messages that ask if you want to pay to in-app upgrade, Apple do know you have already purchased it, but they only tell you this AFTER you try to buy for the second time. For more on upgrading see https://solubleapps.com/MailShot-support/#UPGRADE. A note for anyone in the same position- MailShot can reimport contact groups. So, if you lose your data but still have the contacts that MailShot created, try following the instructions given above on our support page to recreate your groups. Is there anyway to delete a group contact that appears twice on the drop-down menu that pops up when you type the group name onto the address line? The group name that got created has the same name as the first, but only lists the first person of the original group. If we could delete the “created” group, we wouldn’t have to worry about selecting the wrong one. Thanks in advance for any help. This is caused by iOS saving old contacts, I am afraid. To be sure you always select the correct MailShot group, always add it to your mail using the “+” button in the address line. This appears to be bulletproof on all iOS versions, so that is our recommended method. A feature to add contacts quickly from your address book using a checklist is coming in version 1.50, available soon as a free update. This has been coded up and is coming in version 1.50, as we have had a few requests for it recently. I second the request for adding more than 1 contact at a time when creating a group. When the update is posted, I will upgrade to the Pro version. For the time being, I am using a competitor app which allows me to create a group by clicking on the names in my address book. MUCH faster than your current method. One thing that speeds up the current version which I think not everyone knows about, is an option in the Settings app for MailShot that enables a fast add for contacts with a single email address, cutting out a stage. The last release sometimes didn’t pick up the setting for this option (which should be set to “on”) until a user visited the Settings page for MailShot the first time. This is fixed on the new update. It is still faster to add lots of people using the new checklist, though, and that update will be out in a few weeks. Hi!, I tested the free version, worked great, so i erased it and bought the pro version and it crashes when adding contacts, so I came for help and reading I found about the app upgrade. So I erased from my ipad 2 the pro version, downloaded the free one and then upgraded from inside of it, I received a messaga about the charge. I’d like to know if in fact I’ve been charged twice since I bought the pro version separately and then I did this move from inside the free version, which works very good since the “inside the app upgrade” I must say. Thanks a lot. That is odd, MailShot Pro shouldn’t crash when adding contacts- even more so as the code in an upgraded free version of MailShot is literally identical and both versions have been released for a few months now. If this happens to anyone please get in touch on our support email (where we do our to-and-fro user support) and we will try to help resolve this for you. Unfortunately, as far as Apple are concerned the free standing MailShot Pro and the in-app upgrade are two entirely different things, and you will be charged if you do both. If you need a refund because of this you will need to contact Apple I am afraid, as developers can’t do this for you. I try to make this point about the upgrade in many places on the site. Was there a particular place you read about it here where I didn’t mention the freestanding version, and that this is a different thing? I am asking as I would like to change that if so. Thanks, and I am glad to hear you are liking MailShot. It’s really great, but why can’t you add SMS as well? I can add it to an SMS but the app adds only the email. If it can add the number as well, it will be fantastic. Mailshot works by creating long email address strings containing your entire group in one contact so that you use it all over your device. I don’t believe that it is possible to do the same thing with phone numbers. However, there is a solution that may help people out in some cases…Most US carriers provide an email gateway that gets converted into an SMS text message for their users, and a number of other services and carriers offer the same ability in other countries- You can find an uodated list of email gateway addresses on Wikipedia at http://en.wikipedia.org/wiki/List_of_SMS_gateways. You may have to ask your contacts what carrier they are on. And be careful to check the small print, especially in countries where it isn’t usually the receiver that pays for a text. I backed up my iPad because I had to return it. I synce up my new iPad and my distribution lists did not come through. Does it back these up somewhere or did I lose all my list I created? Version 1.60 of MailShot brings the ability to load MailShot groups back into MailShot from your contacts. Please try this if you lose your data. Be careful to create a group with a new name in MailShot, and then add in the contacts from your old group contact. Don’t use the same name until all the data is loaded back in. Synching will copy your apps, contacts etc. across (depending on your iTunes settings) but not your app data. You should do a “restore” from your backup in iTunes or iCloud to restore the data for MailShot, and all your other apps. I installed MailShot Pro tonight and created a group and when finished it reported that the group was added to my Contacts List. However, the group did not show up in my Contacts List. Did I miss a settings some place? When looking at the list of contacts, tap “groups” at top left and then select “Show All Contacts”. This will show all the contacts on your device from across all of your address books. You should find the contact there. The problem is resolved, I was looking for the new group in the wrong place. Mailshot Pro works great! I like your App. I bought it for the iPhone, but later downloaded it for the iPad. I was charged again. Apps bought for the iPhone do not get charged again for the iPad. Why did this occur? Also, if I receive a group email, for example, all the men in my church sent by one person, is there a “slick / easy way” to simply add them to a new group with your App? I am speaking about via the iPhone or iPad, although I could use Yahoo mail some way if that helps. Finally, how can I sync the groups on my iPhone to the new iPad App without “keying in” all that contact data again? I like your App. I bought it for the iPhone, but later downloaded it for the iPad. I was charged again. Apps bought for the iPhone do not get charged again for the iPad. Why did this occur? You will not be charged again if you download the same version using the same App Store account. If you in-app upgraded the free version of “MailShot” you should not download “MailShot Pro”, as they are considered as different apps on the App Store. Also, if I receive a group email, for example, all the men in my church sent by one person, is there a “slick / easy way” to simply add them to a new group with your App? Not at the moment, although this is actually something I am considering for our next update, as this question has come up occasionally (we have already updated 5 or 6 times to add features from user requests). The approach I am considering would be for you to copy the long email address from the received email, and paste it into a special box in MailShot, MailShot would then turn this into a list of contacts that you could add quickly to your group. I am not aware of any other existing group email app which currently lets you do this. Finally, how can I sync the groups on my iPhone to the new iPad App without “keying in” all that contact data again? Any MailShot contacts you create on one device can be shared to your other iOS device using iCloud or iTunes contact sharing, and can be freely used on either device. However, we do not recommend that you attempt to MANAGE the same group on more than one device, as the data that creates groups does not synchronise between devices. We plan to add such synchronisation in a future update using iCloud Data Sharing (which only became available last week). Can’t contacts be sorted by LAST name instead of first? I absolutely hate the sort by first name, it’s virtually useless. Hi Robert, thanks for your request. So that MailShot works correctly around the world, we rely on Apple’s iOS call to return a localised contact name. If you want contact names added to MailShot as “lastname, firstname”, you can do this by changing “Display Order” in the “Mail, Contact, Calendars” tab in the Settings app to read “Last, First”. They can then be sorted on lastname. This setting also controls how they appear in your Contacts app, but note that it will only affect the contacts you add to MailShot from this point on. Why do some groups show up in red in my groups list? When an email address is shown in red, this is just to alert you that MailShot can’t see that particular email address in your current address book. or b) that the email address has changed or been deleted for that contact since you set up your MailShot group. Showing it in red is a prompt for you to check it. A group is shown in red when it contains a red email address, also to catch your attention so you can check it. Either way, the group will still function from your contacts. I posted elsewhere in your FAQs on Exchange about how pleased I am with MailShot (esp. when I realised I wouldn’t be charged twice for the in-app upgrade!). One question for you, while Contacts Groups are syncing between my iPad & iPhone via iCloud, the MailShot groups are not syncing between the devices. I note above you recommend NOT to manage a group on multiple devices. Do you have plans to sync MailShot groups in a later release? Thanks once again for a great app – it fills a HUGE gap in iPad/iPhone mail functionality. Yes, adding data sharing via iCloud is certainly planned, but we are waiting for the developer support for this feature to improve before we implement it. Very few apps do use it at the moment, and many of them are Apple’s own. Hi Rainer, thanks for your question. No, not at all. You can easily create a local address book to store MailShot contacts in that can work alongside Exchange. See this link on our Support page for instructions https://solubleapps.com/mailshot-support/#ADDRESS. Drop me a line by email if you need further help. I have MailShot on my iPad with addresses assigned to groups. Not I’ve put MailShot on my iPhone but I don’t want to re-add all of my groups/contacts! Is there any way to copy the info from my iPad to my iPhone? We suggest that you should manage your groups on one device, then share the contacts that MailShot creates for you to your other devices. If you want to change which device is in charge, you can find the instructions to move all your group data to another device here: https://solubleapps.com/mailshot-support/#MOVE. Hi, I just wanted to thank you for the free version of Mailshot. Not only was I impressed with this app I was very impressed with all of the help you give so clearly. I also learnt from you how to attach several photos to an email ( I was copying and pasteing one by one before. As mentioned I am impressed by your service and will look out for any other apps you produce. Hope this does not sound too cheesy but I believe giving credit where credit is due. We are always happy to help if we can, and rely on the great recommendations we get to spread the word about the apps we produce. If you have the time, a review on the App Store is always very much appreciated. Thanks for your comment, Brad, and for your question. You can arrange your groups into any desired order by tapping “edit”, then tapping and holding the grey three-line icons that appear on each line to reorder. Tap the icon and drag the line into position. I downloaded MailShot Pro on my Ipad and it runs great. My question is, can I run this program on my MacPro laptop? Thank you for your reply. Hi Gary, thanks for your kind comments about MailShot, we are glad you are enjoying it. I assume you are asking if you can use MailShot contacts in mail on your mac? Until recently the answer was “no”, as the special format MailShot uses to trick your iOS device into sending group email could not be used with mac. When MailShot PRO recently updated, I can no longer add groups. I can bring up the screen to add a group, but the only option given is cancel, so I can save the name of the group or add any addresses. This happens if you tap the button to close the keyboard on an iPad on that screen on version 1.60. Tap the text box and then tap “done” on the keyboard to move to the next screen. This process was made automatic if you put the keyboard away on that screen on all subsequent updates. Note that the best way to use MailShot with multiple devices is actually to create your groups on one device and use iCloud or other means of contact sharing to copy the Group Contacts it creates to your other devices. If this does not work for you please contact support and we can help. Your store information read that you can add attachmates to emails. I don’t see how that works? Please explain how to do this. Sure, as you probably know MailShot creates a special contact which you can use from almost any app to send email to your group. You send attachments to a MailShot group the same way you would to a single contact- from the app that handles it. e.g. You might send photos from the Photos app or Photoshop Touch, forward a PDF from a PDF reader or send a sound file from an app that sends that etc. Almost anything an app can send, MailShot will enable it to send to more people at once (apart from appointments in some Calendar apps). Because MailShot groups work in the Mail app you can also forward any received emails to a group, including all their original attachments, which most other group email solutions can’t do. I use gmail and I’m wondering if mailshotpro is compatible with it. How do I delete an entire group? UPDATE 2017, swipe from left to right across the group name on the list. Hi I’m extreamly happy with mail shot app . Thanks for your kind comments Rocco. I’m afraid we don’t have a texting app, though it is something we may do in the future. We now have an app called TextShot, designed to make group texting easy for anyone used to Mailshot. Absolutly great service!! I required assistance. It was not only fast but solved my problem. Thanks for letting us know, Christine. I hope you have a great time with your iPad. If you enjoy the app, a review on the App Store is much appreciated, (a button is provided for this on the title page of MailShot). If you need any assistance with MailShot in the future, we’re always happy to help. Somehow my mailshot app got deleted I reinstalled it but my address books are not showing up how do i get them back? Ps how do i do the same for texting do u have an app to send for texts? Tap “+” to add your old group contact. Tap “add” to add all the contacts that were in the group. Now you can rename the group if you wish. UPDATE: if your device is set up for iCloud correctly, this shouldn’t be necessary now. If you have iCloud on your device, and iCloud Drive enabled, your groups will be backed up to iCloud. Reinstalling the app will restore your groups. Lost my lists. They were still in contacts. When I thought I added to app to go to contacts, lost contact list. Darn!!! Sorry to hear you are having a problem, we’ll do what we can to help resolve it for you. B and C are quite common reasons to believe you had lost your group data. so check for them both. In any event- if you still have the contacts that MailShot created, you can use them to recreate the groups. Here is how to [import an individual group into MailShot](https://solubleapps.com/mailshot-support/#LOADBACK) from a group contact in your address book. We hope that this will resolve your problem. If you have any further questions, or need further assistance, please drop us a line from the “Support” button in MailShot, as that will tell us how your device is configured. I am having problems with Sparrow, can you help me please? MailShot works with tens of thousands of Mail-compatible apps,unfortunately Sparrow is not Mail-Compatible, and does not understand address strings. You would need switch to the standard Mail app to send your group emails. I dont know of any iOS group email app that works with Sparrow. Longterm you may want to reconsider your use of it as, since its purchase by Google in 2012, they have ended their commitment to update or improve it. Hi Peter, You have been terrific both in your helpfulness, but also in your very patient and prompt replies. I give you a 10 star rating – twice as good as a five!!!!! The app works extremely well for what our club needs for sending out emails to our membership and editing our membership. It is a wonderful program. Thanks for your kind comments Judi, glad I could help. Great app! Looks like this will only work with the stock iphone email app? For example, I use Accompli (microsoft outlook now) as my email app. I notice that there isnt a blue + sign in the “To” field. Will I need to use the stock app for group emails? If so, will it ever be compatible withnthe Outlook app on the iphone? From initial tests on Outlook for iPhone, it appears that it does not allow strings of email addresses (you can’t even paste a list of addresses directly into the address line!). It will therefore not integrate with ANY alternate IOS group email solution. We recommend continuing to use the standard Mail app to send group emails to MailShot groups. My group was listed in alpha order. Now when I go on, the names are no longer in alpha order. Group members are now sorted by surname, rather than the entire name. This is a behaviour that many users requested in the past. 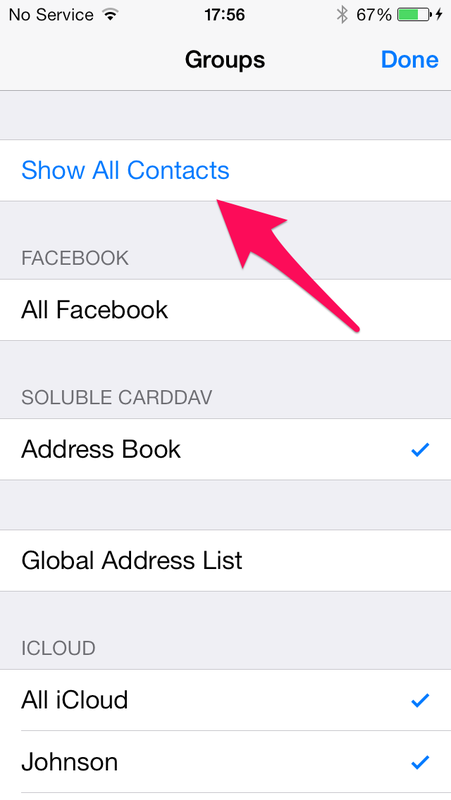 An option already on the Mailshot page in the Settings app will display contact names as “surname, first name”. This may help. Our next update will include an option in Settings to sort on the entire name instead, for a few users that have told us they need it. I received an email that I want to forward to everyone on one of my MailShot groups. Can I do that? You can see this demonstrated in our tutorial video, from the support button in the app. What app does Mail Shot work with? It will not configure with gmail on my phone or on my Ipad. I understand the copy and paste concept but I would like to connect to an email from an app! For new group email, use the MailShot app itself. The “Mail” app handles Gmail accounts (and many others), just add your Gmail account on the Mail page of the Settings app if it is not already there. Note, however, that some Gmail users report issues sending group email, due to their very aggressive spam prevention measures. (If this happens you will receive a series of “unable to deliver” emails from Google.) The solution to that issue is to send your group email using a different email account. We recommend you choose iCloud.com for this, as our users tell us it solves the problems caused by Gmail. If you have multiple accounts, you can change the account you send from by tapping “Cc/Bcc, From” on the email, or changing the “Default” account from the Mail page in the Settings app for a more permanent change. How do I retreave a DRAFT message copy? I have found out how to send a YouTube clip to a group mail, thank you. I have Mailshot pro on my ipad. How can I make it accessable on my iphone as well for use wjen I’m out with my phone only? 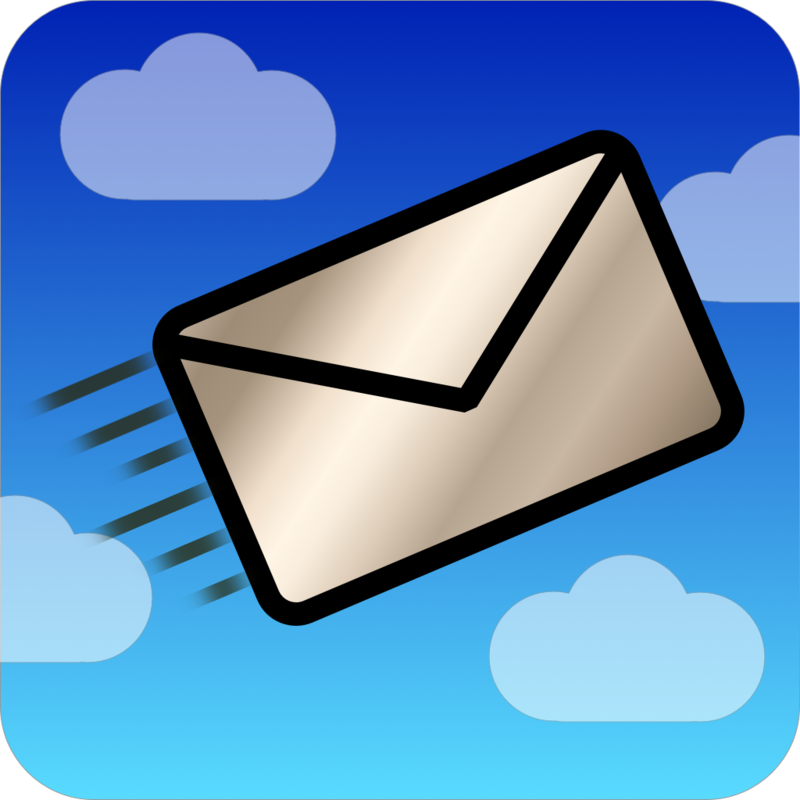 Install the same version of the app (Mailshot OR MailShot Pro) on both devices, and connect both devices to the same iCloud account. Your groups will be shared between both devices automatically. In the rare case of a problem with iCloud synch, please drop me a line from the Support button on each device, so I can compare how they are set up, and I will try to assist you. I believe I installed Mailshot On my Ipad and then upgraded to the Pro version, ra5her than originally purchasing the Pro version, but I’m not positive. Does that matter, or can I go ahead and install Mailshot Pro on my Iphone. Also, do I need to purchase Mailshot Pro a second time to put on the phone? Thank you again, Peter. It worked! I have it on both devices now. It does matter, as Mailshot and Mailshot Pro are regarded as seperate apps on the App Store, and do not share data with each other. Note that if you previously upgraded “Mailshot” , then installing “MailShot Pro” would incur a second purchase cost, and won’t share data between your devices, so be sure to install the correct version.